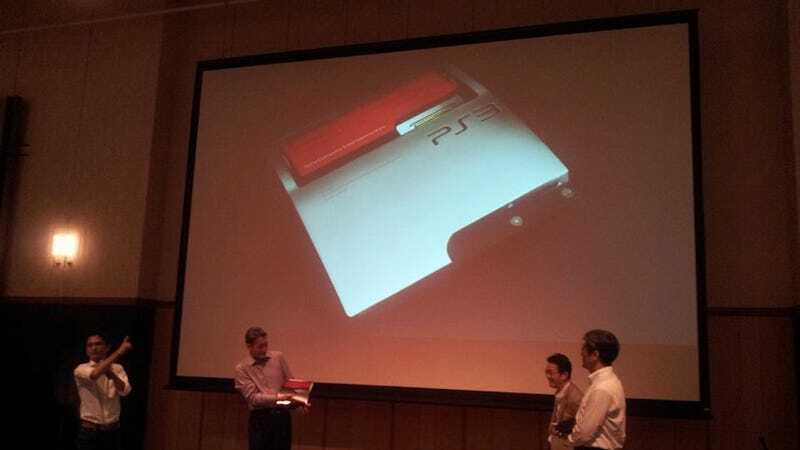 What The Hell Is The Red Thing On This One-Of-A-Kind PS3? Sony president Kaz Hirai got his own specialized PlayStation 3 today, according to a tweet by fellow Sony exec (and SCE head) Shuhei Yoshida. It's custom made. And not for sale. I have absolutely no idea what the red thing is. People have asked Yoshida on Twitter, but he hasn't responded yet. Anyone want to guess?